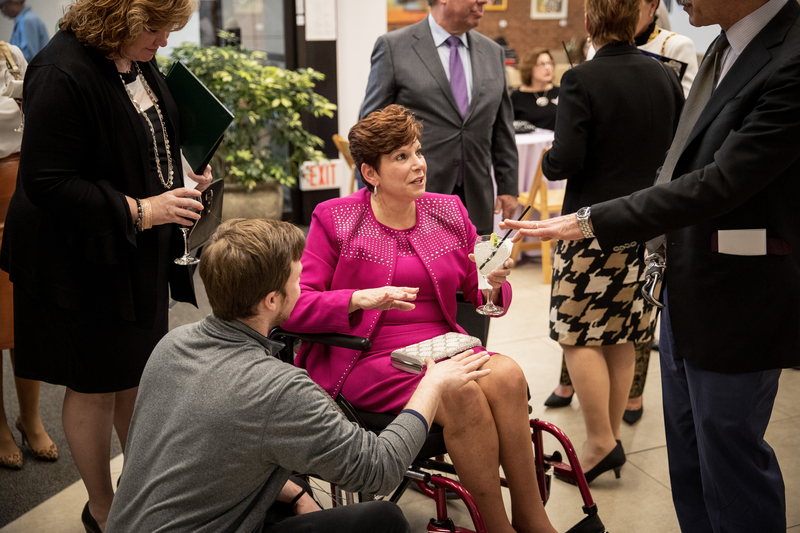 MossRehab hosted the Thursday evening reception to open its annual All About Art exhibition featuring works by professional artists with physical and cognitive disabilities. 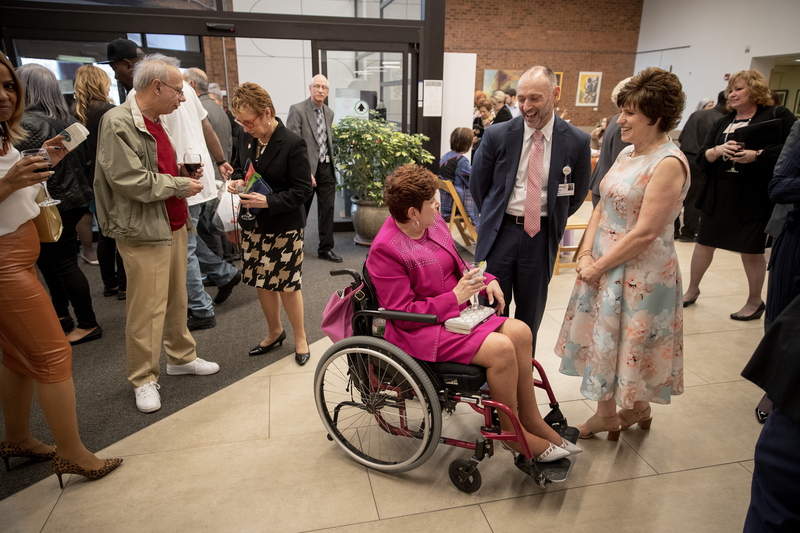 ELKINS PARK, PA, April 13, 2018 – State Sen. Christine Tartaglione took her first steps in 18 months on Thursday evening as she helped MossRehab honor two of her fellow patients while opening the facility’s annual All About Art exhibition, featuring dozens of works by professional artists with physical disabilities. 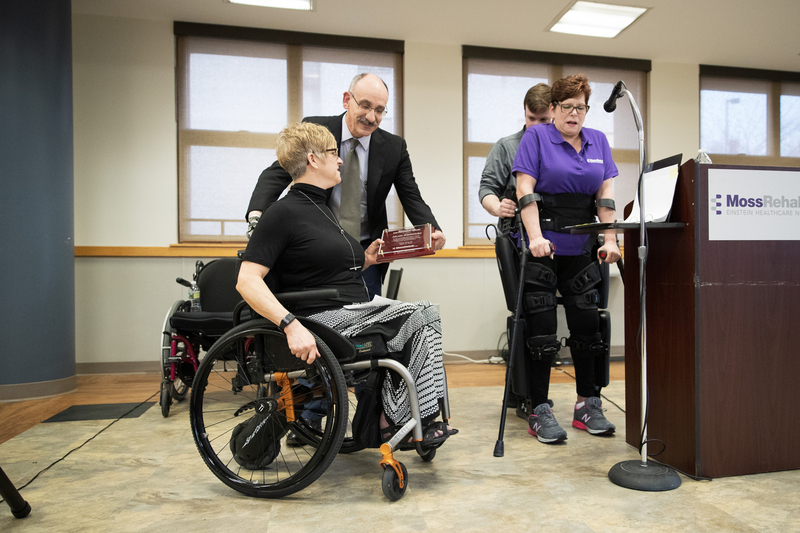 Senator Tartaglione has required the use of a wheelchair since she injured her spine in a 2003 boating accident, but she reached a major milestone in her rehabilitation when she walked to a podium with the assistance of the ReWalk exoskeleton and presented Empowerment Awards to fellow Moss patients Alysse Einbender and Jack Cavanaugh. 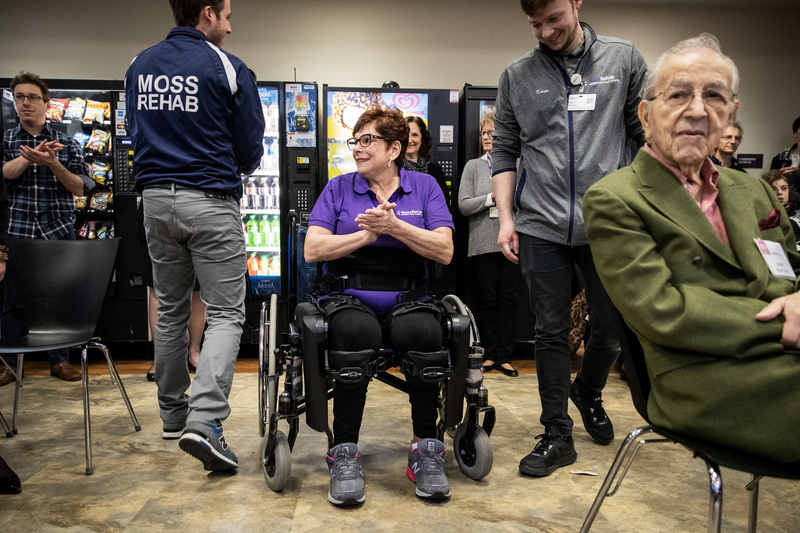 Dozens of MossRehab patients and staff joined their families and friends to pay tribute to the senator and the Empowerment Award recipients. 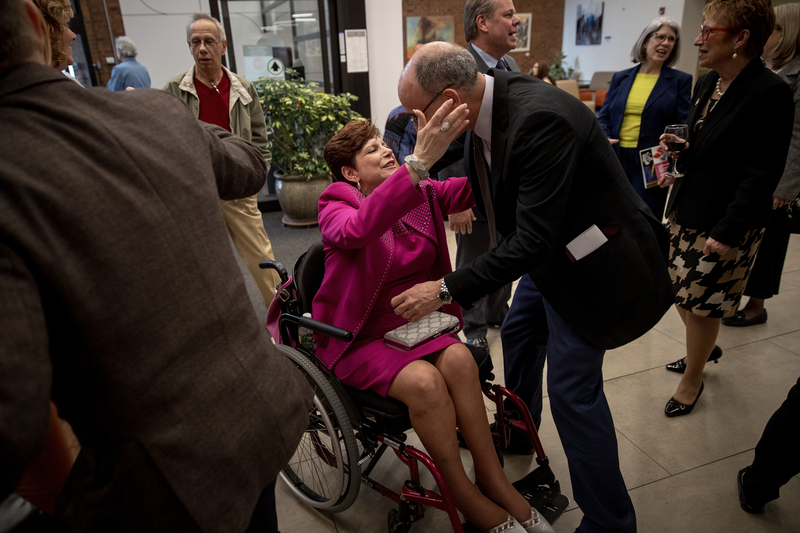 New, original paintings, photographs, sculpture, jewelry and other forms of artwork adorned the walls of the rehab facility for the reception and ceremony. 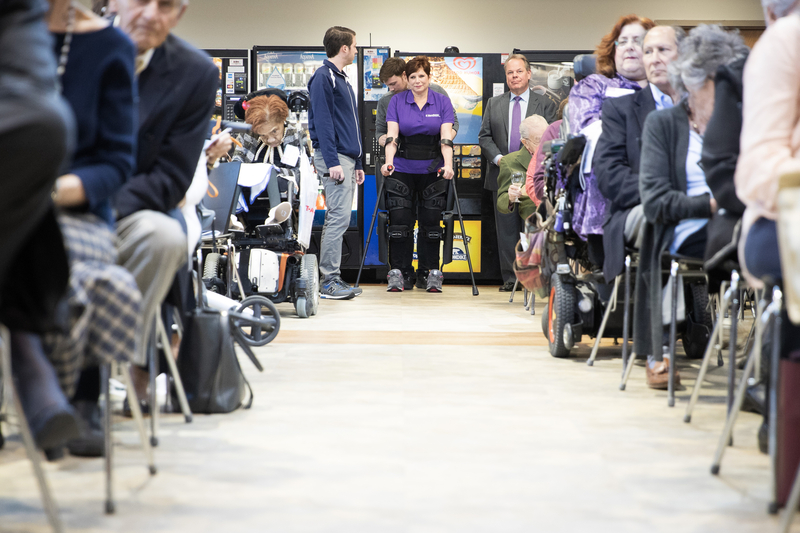 The artwork will be on display through May 30 and is available for purchase. 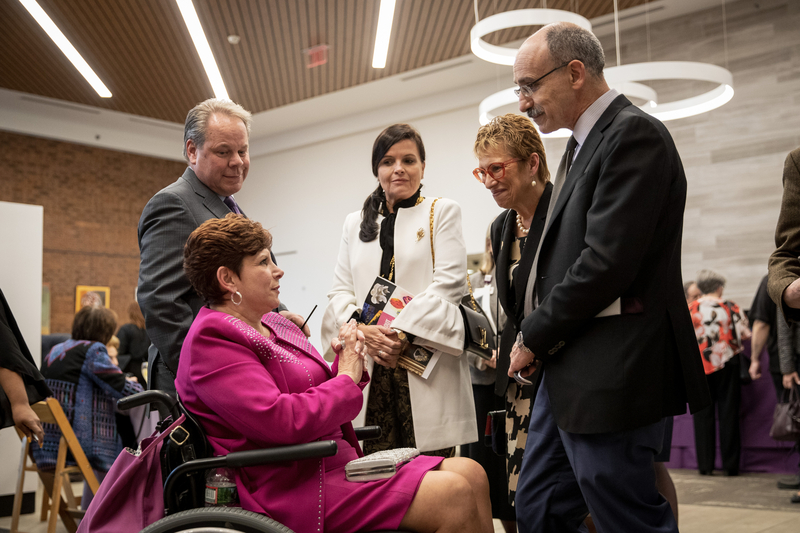 Senator Tartaglione shared her distressing, yet inspirational story with the assembled guests. 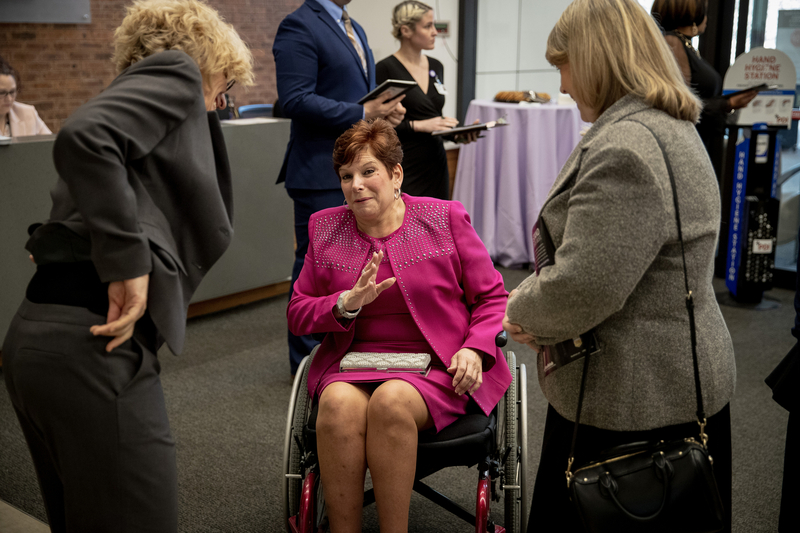 She was injured at the Jersey Shore in 2003 while on a small fishing boat. 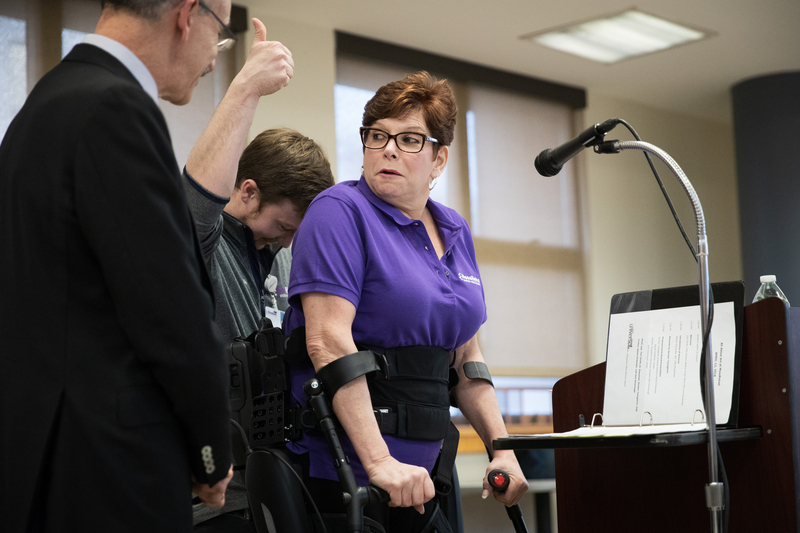 A much larger vessel approached at a high rate of speed and jarred her boat, causing the senator to crash to the deck. 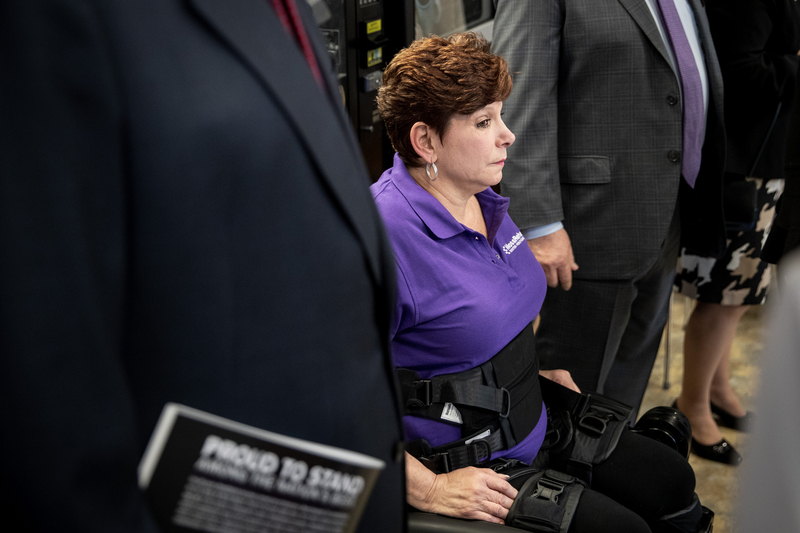 She broke her spine and lost feeling in her lower extremities. 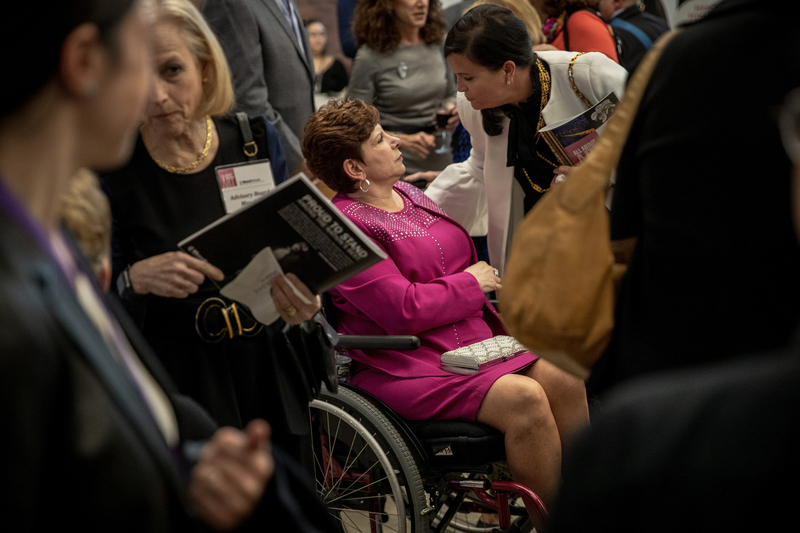 Seven years later, after extensive rehab and with the assistance of a brace and a walker, she was able to walk to her seat in the Pennsylvania Senate chamber for the first and only time to date. 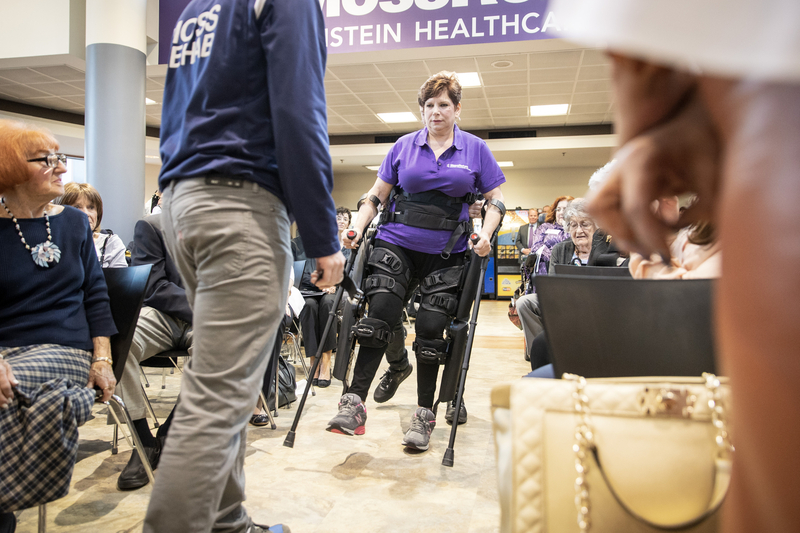 In October 2016, she rose to her feet once again to demonstrate the innovative ReWalk device at Moss. 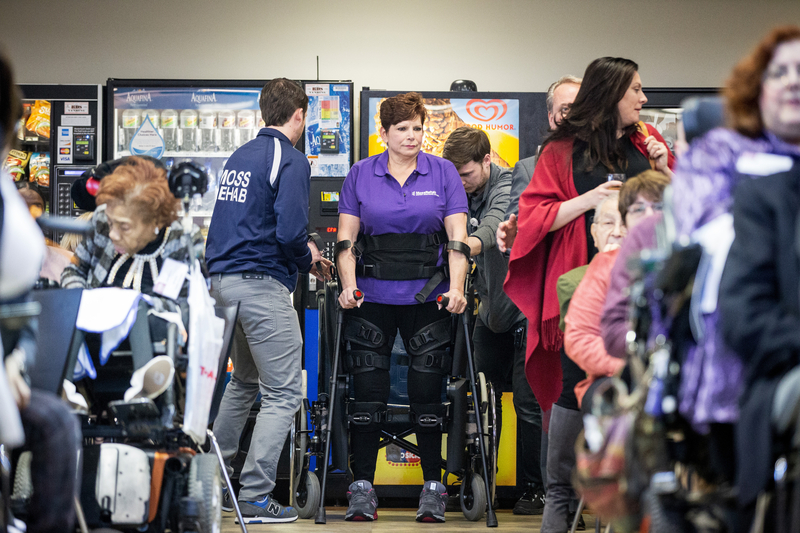 The unit is designed to allow the user broad freedom of movement to including sitting, standing, walking, turning and navigating stairs. 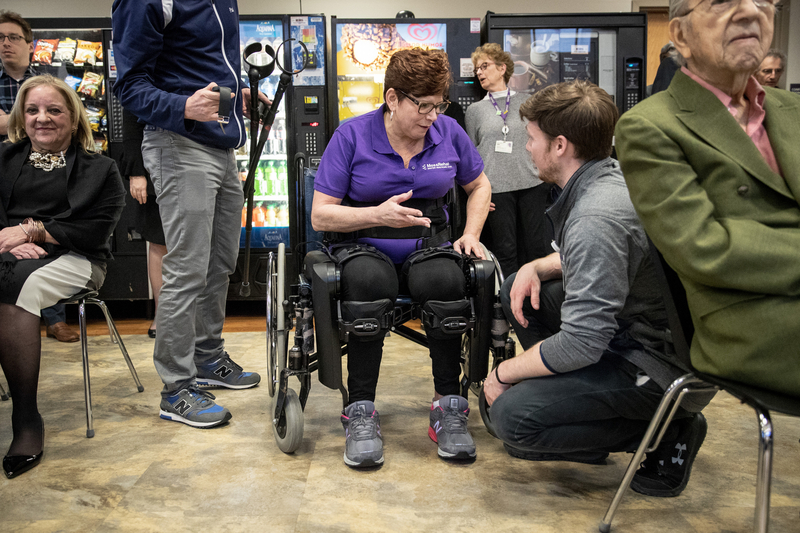 While enhancing a user’s mobility for practical daily use, it is also a rehabilitative tool, assisting in physical training and therapy. 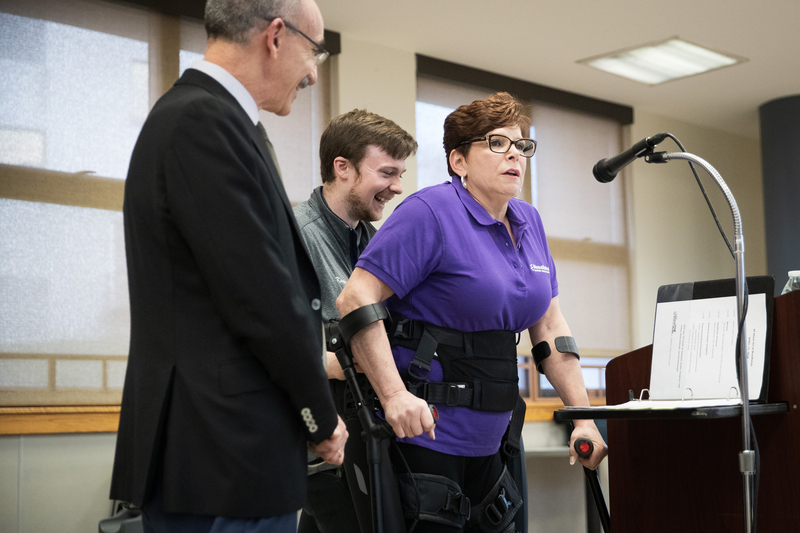 Unfortunately, while training on the device, Senator Tartaglione suffered a fall and broke both bones in her lower leg. 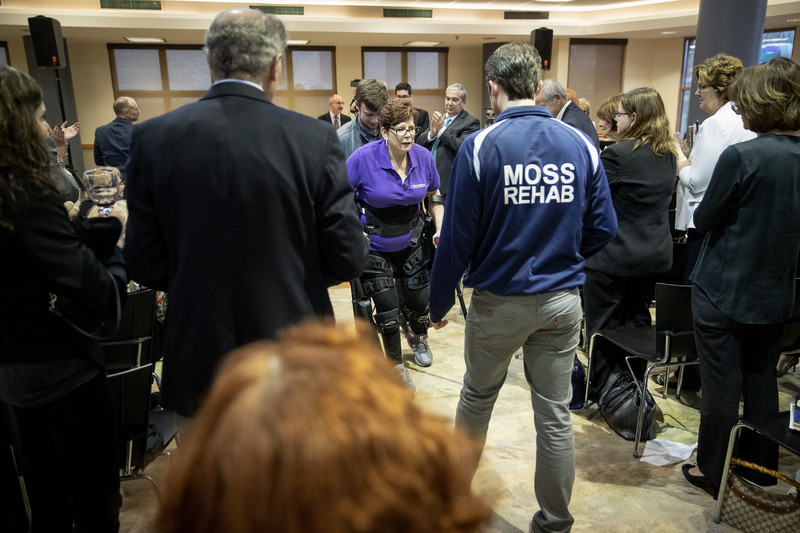 Senator Tartaglione was still hospitalized with her leg fractures when Moss received delivery of the next generation ReWalk device. 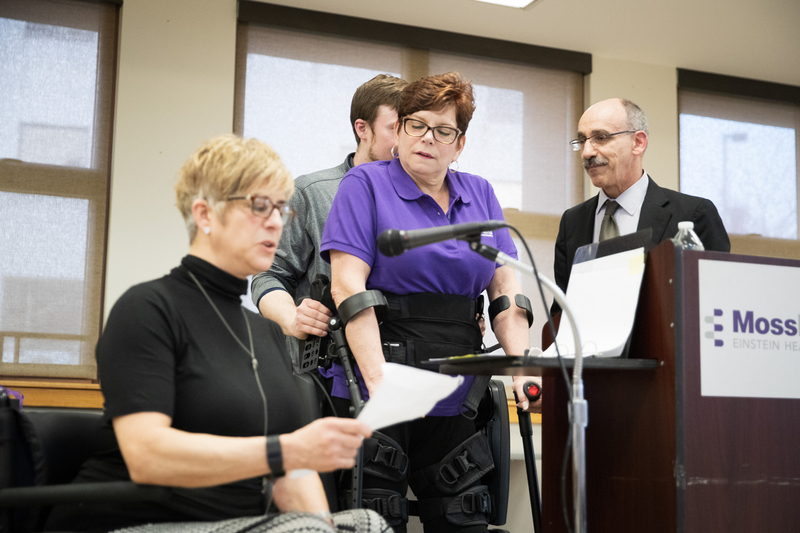 The unit sat in Doctor Esquenazi’s office as the senator continued her rigorous recovery and rehab regimen. 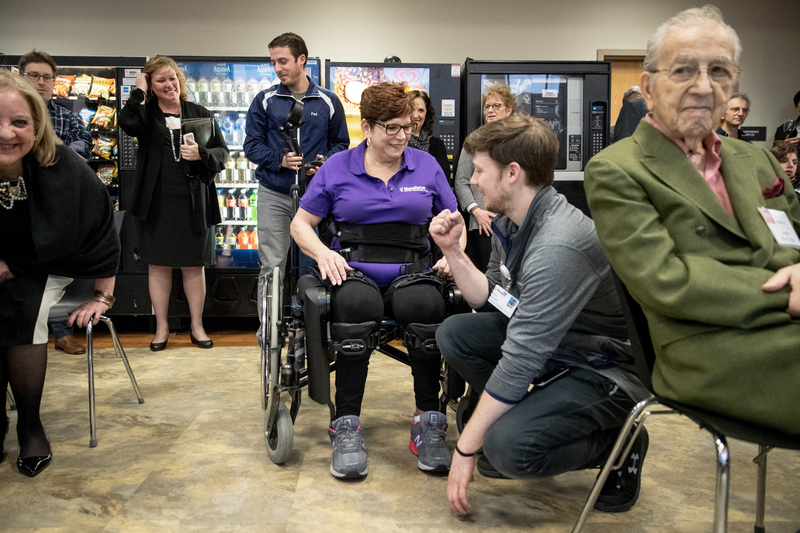 That time finally came on April 5, when the senator tested the new ReWalk for the first time. 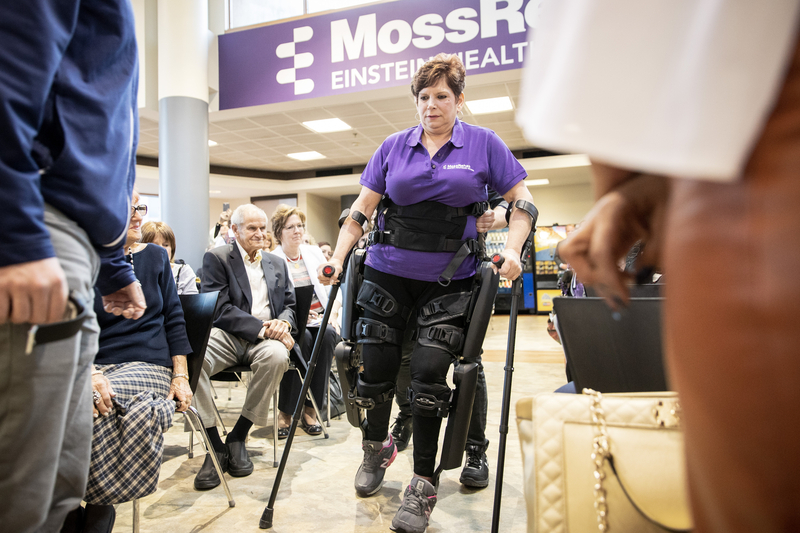 One week later, she used the device to walk from the rear of an auditorium to the front podium, where she spoke of two other Moss patients who are using their personal experiences to help others. 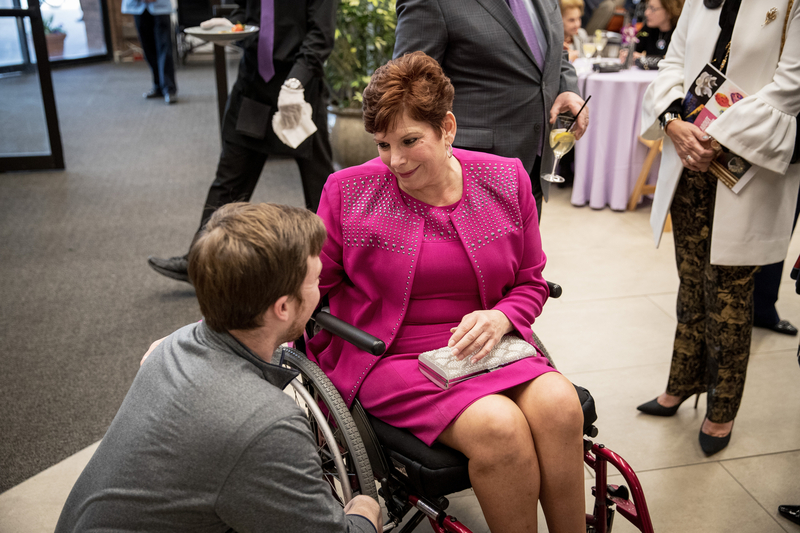 The Empowerment Awards recognize current or past patients who have demonstrated extraordinary tenacity during their rehabilitation, the achievement of goals beyond expected outcomes, a commitment to serve others with disabilities and a commitment to support MossRehab. 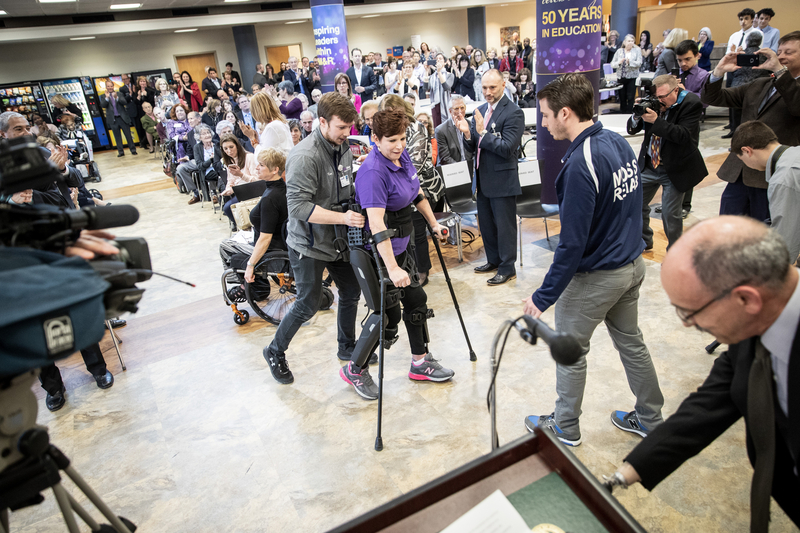 Alysse Einbender suffered a spinal injury that resulted in paralysis to both legs and an inability to ambulate. 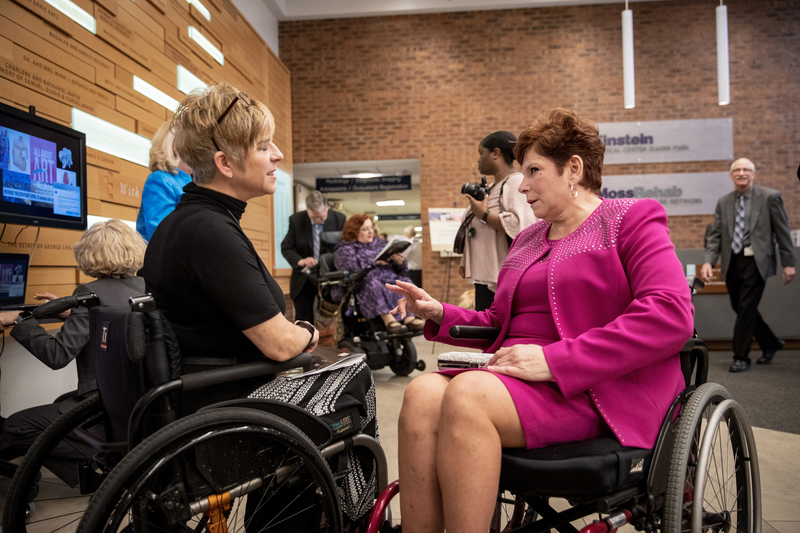 But she has returned to work as a landscape architect while raising her two sons. 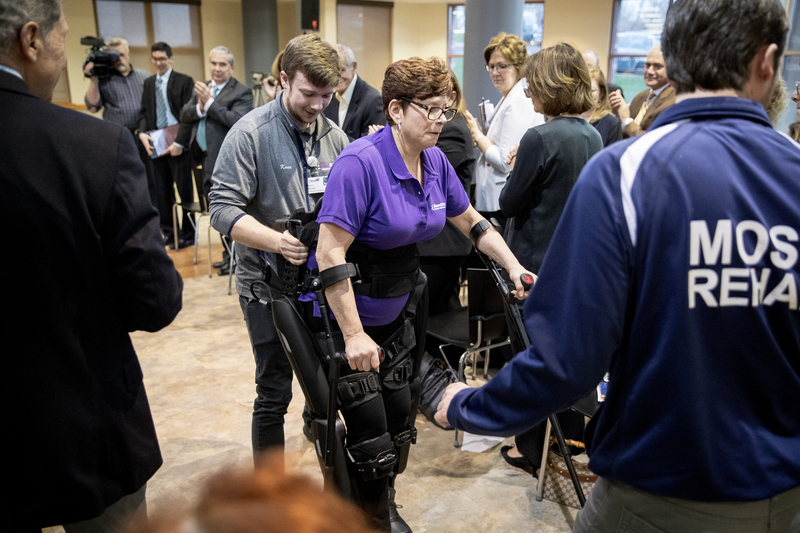 She was the first person in the United States to test ReWalk. 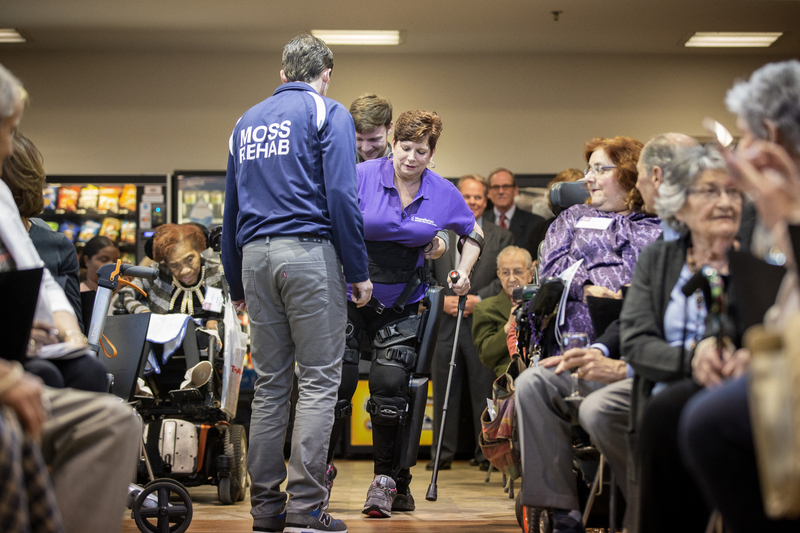 She is a member of the MossRehab Advisory Board and project manager for All About Art. 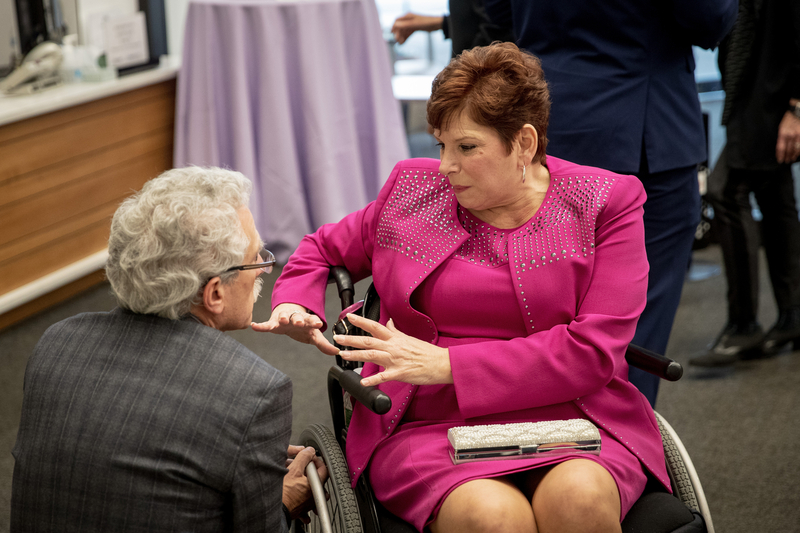 She is co-director of the United Spinal Association of Philadelphia and volunteers for organizations that help individuals with disabilities. 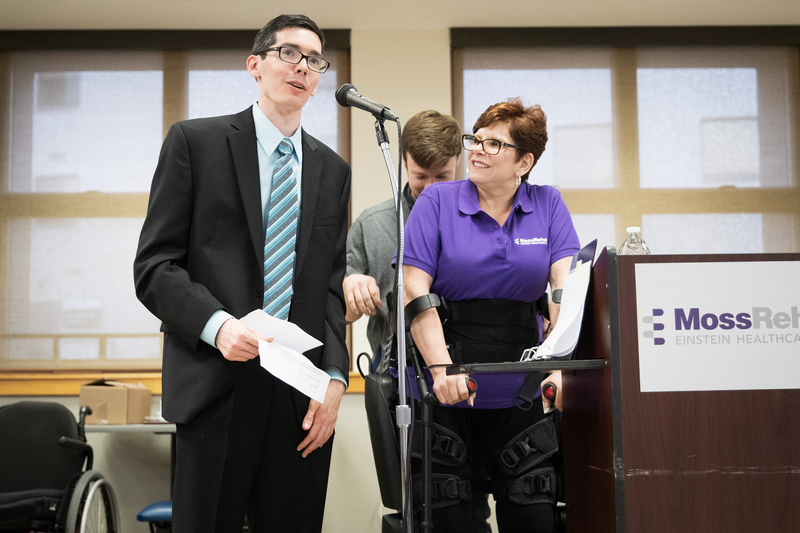 Jack Cavanaugh sustained a severe brain injury over four years ago. 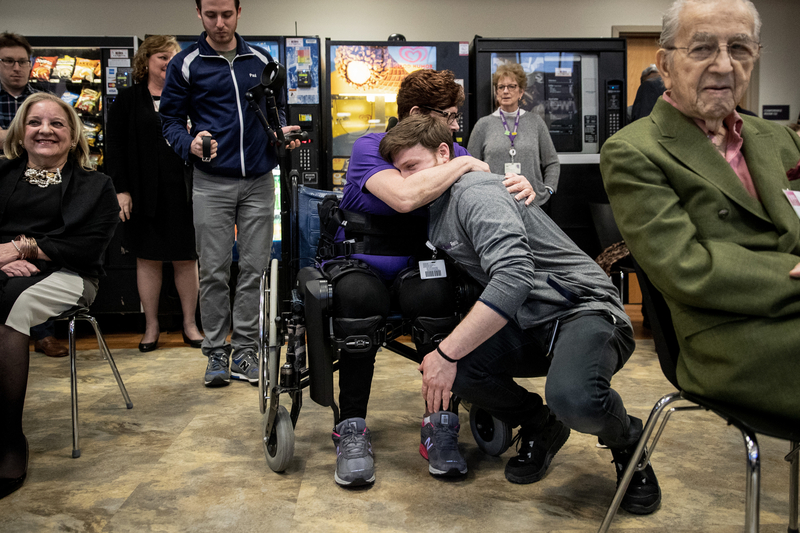 Since then, the former track and cross country runner for Cardinal O’Hara High School has worked to regain his abilities, including speech and the ability to run and ride a bike. 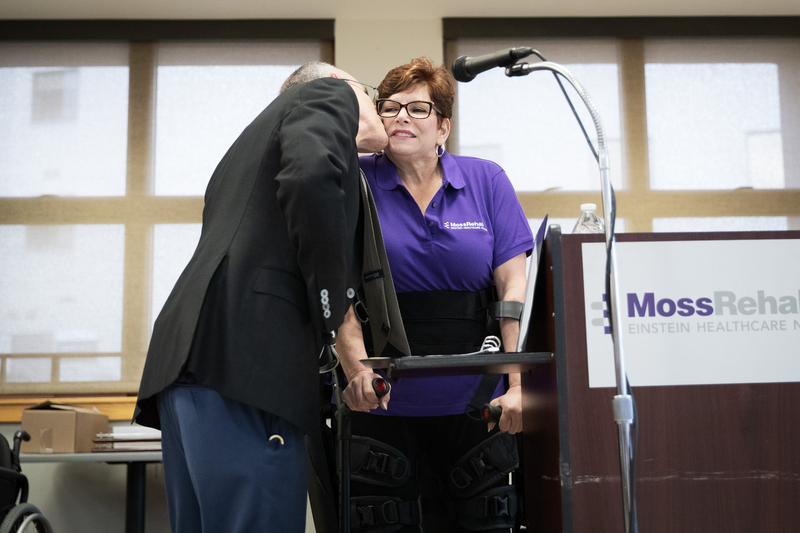 During his recovery, he learned how to surf and now volunteers for Moss’ annual They Will Surf Again event. 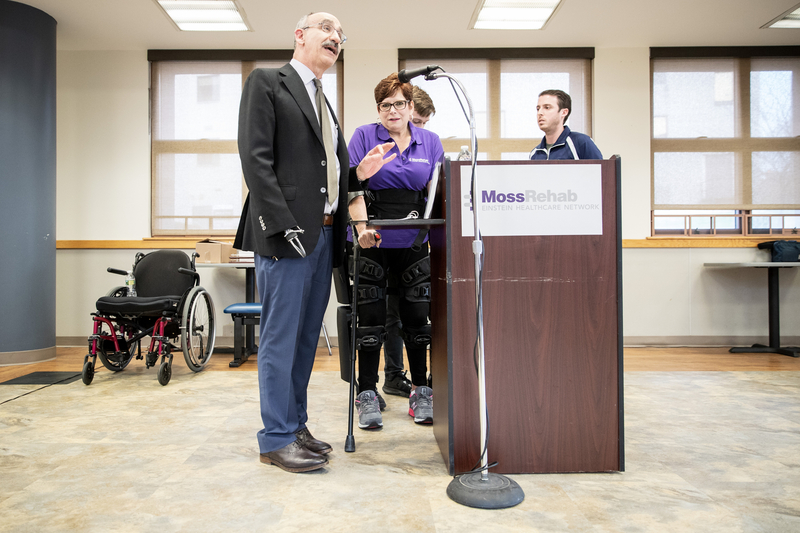 He also volunteers while continuing to receive services at Moss’ Elkins Park facility. 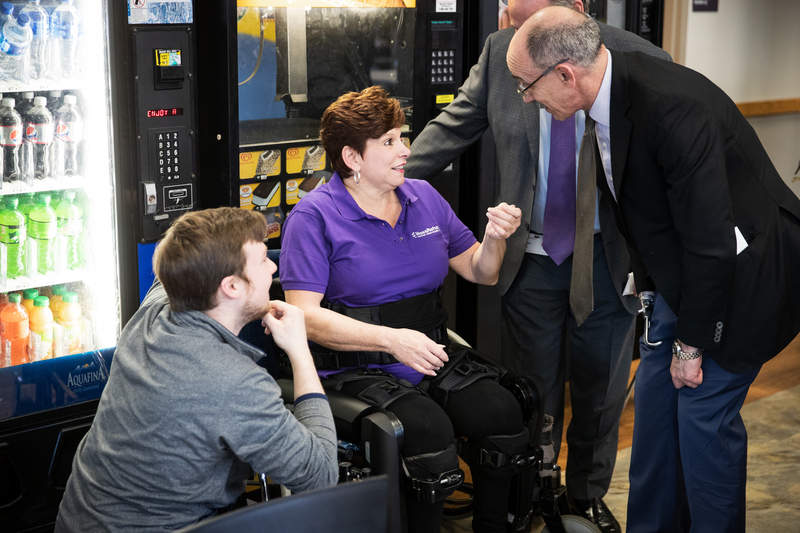 He has returned to college and is a member of a fraternity based on his academic success.